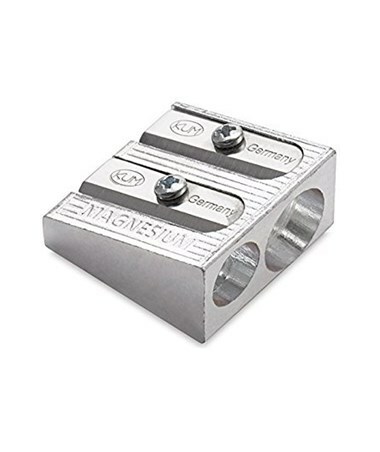 The Kum Magnesium Wedge Double-Hole Sharpener is a versatile and functional sharpener that can be used on graphite pencils and colored pencils of all kinds. With its two holes, it accommodates both standard-sized pencils and larger ones. It features a classic wedge shape and is made of magnesium alloy metal that provides superior durability. 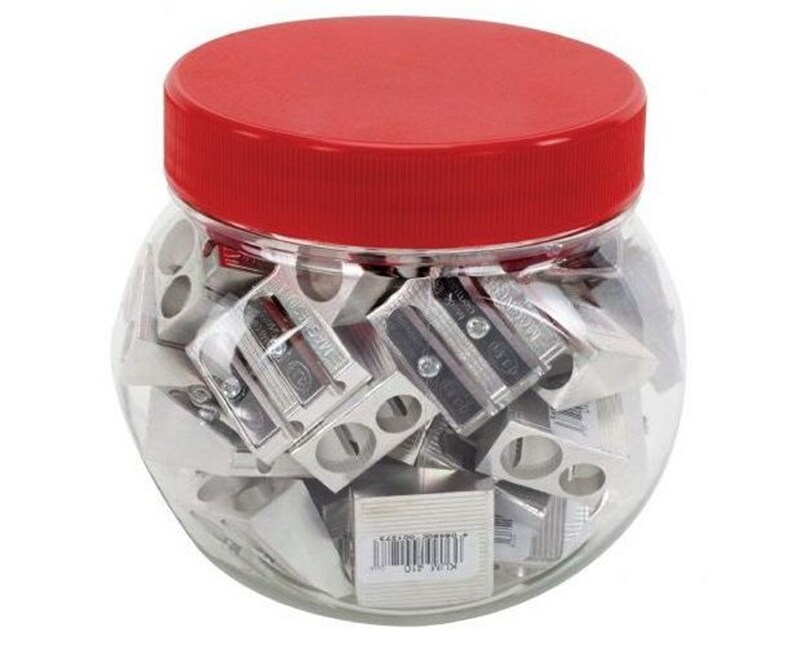 This double-hole pencil sharpener is equipped with an extra-hard and ultra-sharp blade that is constructed of high carbon steel. It is screw-mounted to prevent loosening while cutting and to ensure long, even, and fine point. With a spring-loaded mechanism that reduces friction, it allows easy and smooth sharpening. 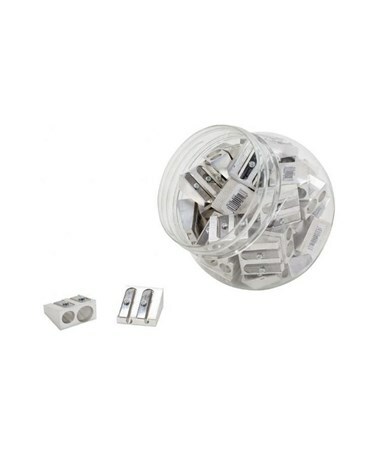 The Kum Magnesium Wedge Double-Hole Sharpener provides optimum cutting angle with its high-precision molding. 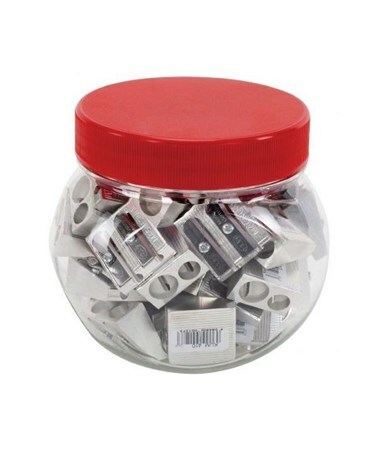 It comes in three different package options including a box of 24, a cylinder of 32, and a 3.5"L x 3.5"W x 3.9"L display that includes 50 double-hole sharpeners. 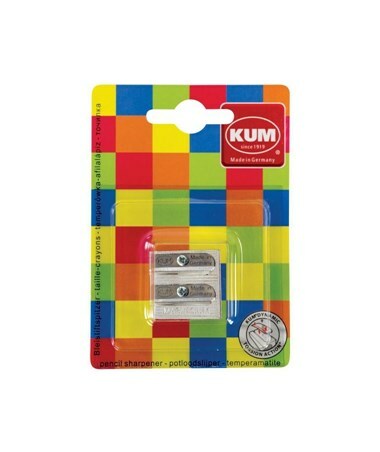 The Kum Magnesium Wedge Double-Hole Sharpener comes in three different package options. Please select your preference from the menu above.